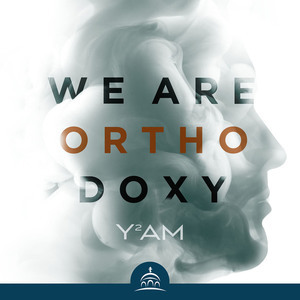 In February 2018, we at Y2AM launched a new podcast series, We Are Orthodoxy. Each episode focuses on the life and faith story of an individual young adult. Some of these young adults have remained in the Church, while others have left it. So far, the reception has been overwhelmingly positive, and for that we are so grateful. If you haven’t checked out the podcast yet, please do. We have also received some questions and concerns from some listeners who are a bit apprehensive about the podcast. It’s our fault for not clarifying the nature and purpose of the project. These answers, unfortunately, always fall flat for one major reason: they didn’t come from young adults themselves. I wonder if these answers are actually the projections of worried adults who guess why young adults leave the Church without actually talking to them about why they don’t come to Church anymore. So we thought: why not actually ask young adults themselves and see why, from their perspective, they do or don’t come to Church? All we really wanted was to understand. That said, let’s make sure we’re all on the same page about what the podcast isn’t, and then we can clarify what it is. First, We Are Orthodoxy is not about finger pointing or blaming. We are looking to give young adults a chance to share their stories in a safe environment, where they can be totally open with us and the Church as a whole. We are not interested in blaming anyone for the problems we see or the struggles people face. We are simply interested in understanding how those problems have affected the young adults we are interviewing. Repenting of the struggles or shortcomings that have led young adults away from the Church can be a positive exercise focused on clarifying our ministry vision, rather than a negative one that seeks to scapegoat or blame. Second, We Are Orthodoxy is not about pushing the Holy Orthodox Church to change what we believe. We Are Orthodoxy is a pastoral and ministerial conversation that simply seeks to explore and discuss people’s real and lived experiences in the Church. If the interviews lead us to push for change in anything, it is in our pastoral and ministerial responses, not the theological doctrines or beliefs of the Church. We want to understand why young people aren’t connecting with the timeless Truth of the Church, not to compromise that Truth for the whims of the day. Third, We Are Orthodoxy is not about solving problems. We’ve gotten several responses asking, “Okay, so now what do you say to someone like Natalie in Episode 9?” Frankly, that’s a good question, and it’s not the purpose of this podcast to decide that. There is no person “like Natalie,” except Natalie herself. None of the guests on We Are Orthodoxy represents a “type” of person that can be treated as a case study. Our responses to individuals must be unique, as the same medicine applied to two different people could have catastrophic outcomes for one and not the other. Because We Are Orthodoxy is all about understanding, we are not going to push back or correct people on the show. They are guests whom we invited to share their stories in safety, not opponents on a debate show. First, We Are Orthodoxy is an opportunity to listen to young adults. These are people worth hearing, even if we don’t agree with what they’re saying. In ministry, we are tempted to primarily speak, thinking that ministry to young adults is all about making sure that they understand. But maybe the issue at hand is making sure that they are understood. Though we need to be honest: it’s hard. The conversations are difficult, for us included. There are times when Christian, who’s leading these interviews with such grace, wants to respond saying, “Yeah, but…” or, “That’s not actually what the Church teaches.” But part of the discipline in these conversations is learning to tolerate the discomfort that comes from hearing someone with whom you don’t agree. It’s hard, but it’s necessary. This is the beginning of the death of the spiritual life, and in the end there is nothing left but spiritual chatter and clerical condescension arrayed in pious words. One who cannot listen long and patiently will presently be talking beside the point and be never really speaking to others, albeit he be not conscious of it. Anyone who thinks that his time is too valuable to spend keeping quiet will eventually have no time for God and his brother, but only for himself and for his own follies. Third, and perhaps most of all, We Are Orthodoxy is a chance to practice the love of Christ who patiently endures our folly, being silently led to the Cross as a sheep to the slaughter. It is a chance to let our own ego die a little bit as we hold others in love and grace. We hope that you’ll give We Are Orthodoxy a listen and join us in the quest to love young adults with Christ’s own patient and long-suffering love. Steven Christoforou is the Director of Y2AM and Christian Gonzalez is the Young Adult Ministries Coordinator of Y2AM. They are the producers and hosts of We Are Orthodoxy. Who's on the Ancient Faith Ministries Board of Directors? Excellent podcast! Among the best on AFR.